Sundial is a diverse property made up of privately owned condominium units, some of which are available for rent through a variety of rental companies and/or direct from the owners. 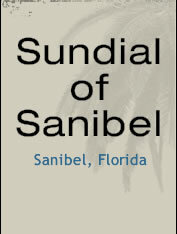 Depending on your vacation needs, we are certain there is a place for you here at Sundial. While the condominium association does NOT get involved with unit rentals or real estate transactions, for your convenience while visiting our website we have included some information that you might find helpful.